Carl Frampton of Northern Ireland has already done very well during his seven-year pro career. He is 22-0 with 14 knockouts, won the super bantamweight world title in September 2014 and made three successful defenses. One of those defenses was a split-decision over Scott Quigg in a title-unification bout in February in England. However, nothing Frampton has done would compare to what a victory over Leo Santa Cruz would do for him. It would make him a great fighter, one to remember, and that’s what Frampton craves. The two will square off July 30 for Santa Cruz’s featherweight title at Barclays Center in Brooklyn (on Showtime). Santa Cruz, of Lincoln Heights, is 27. He is 32-0-1 with 18 knockouts, 11-0 with seven knockouts in world-title fights. Santa Cruz has won titles in the bantamweight, super bantamweight and featherweight divisions. He’ll be a touch nut to crack for Frampton. 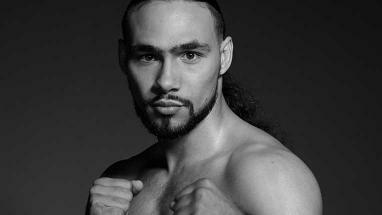 Although two of his past three fights have gone the distance, welterweight champion Keith “One Time” Thurman is known as a fighter who can knock out any opponent, what with his record of 26-0 and 22 knockouts. It’s what he wanted to be able to do when he grew up taking apart older boxers. Stopping opponents inside the distance is what Thurman lives for, so it’s not surprising to find out the name of his boxing idol. Tyson had 44 knockouts, so Thurman is halfway there.